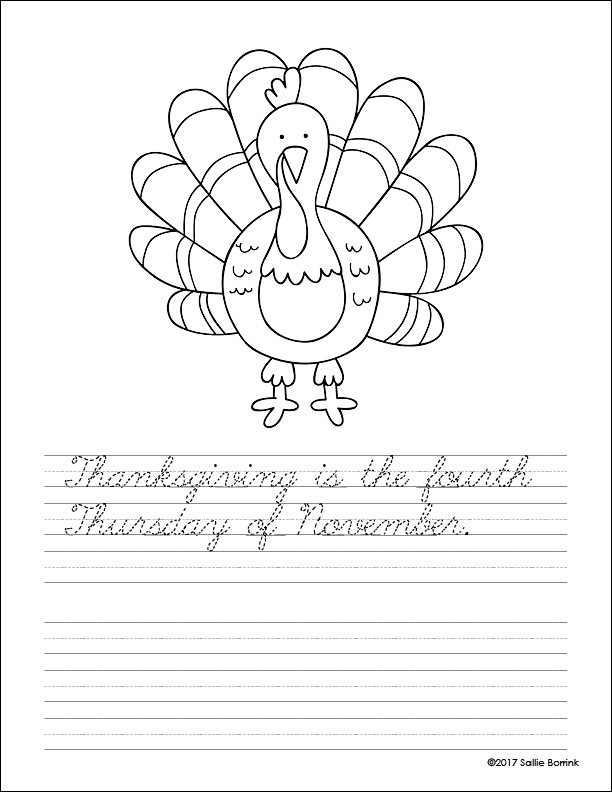 I hope you enjoy these free Thanksgiving printables for kids with your child or in your homeschool. 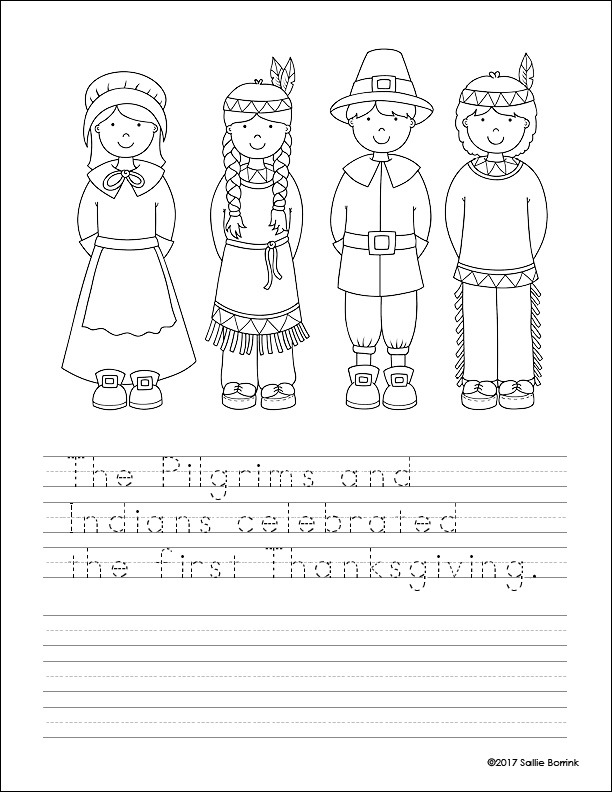 You can download them below by clicking on the individual pages you would like. A PDF will open for you to save to your computer and then print. 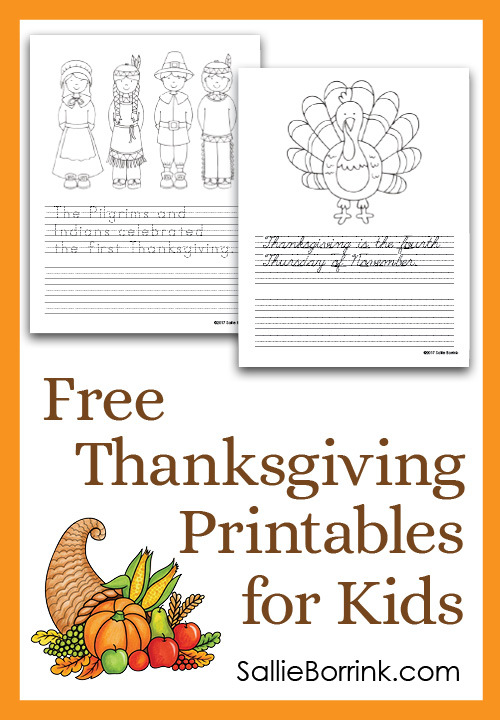 Please note that these are free only for personal use with your child or in your homeschool family. 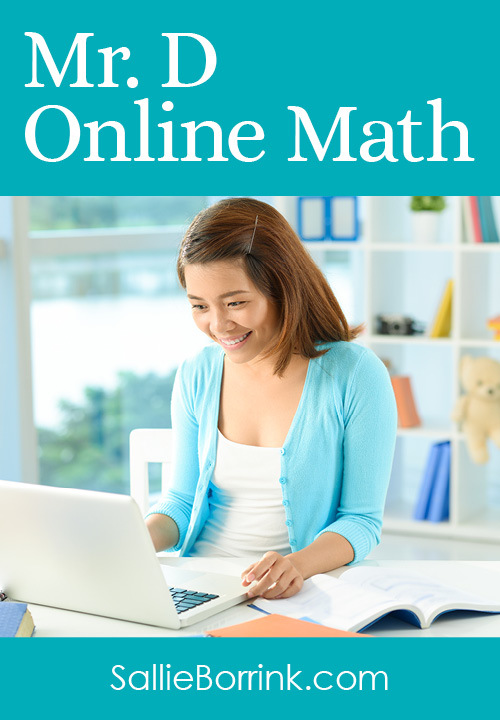 You may not share, post, embed, or otherwise distribute these downloads in any other place or via any other medium. 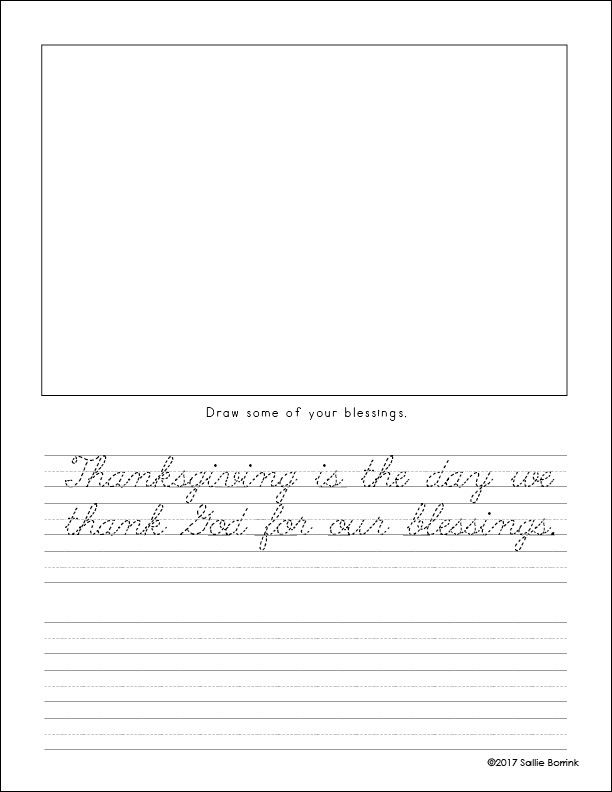 If you would like to use them in a classroom, co-op, daycare, etc. 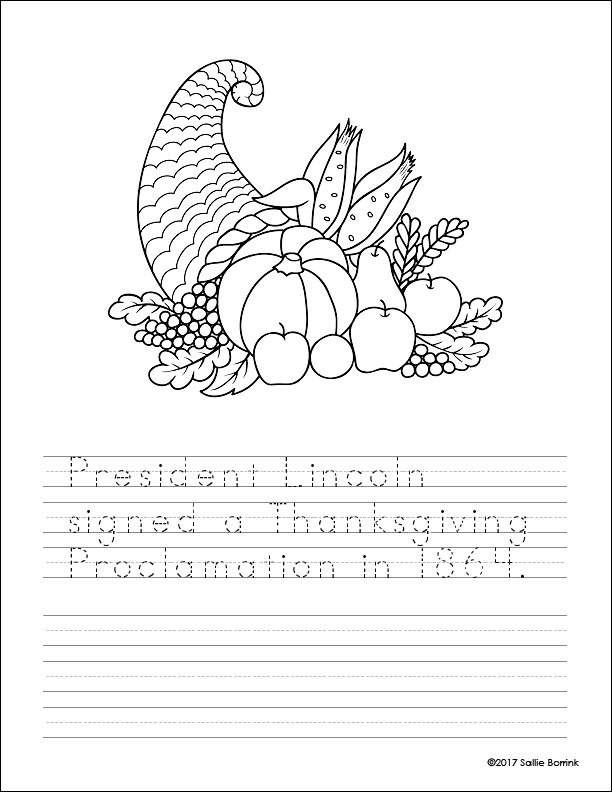 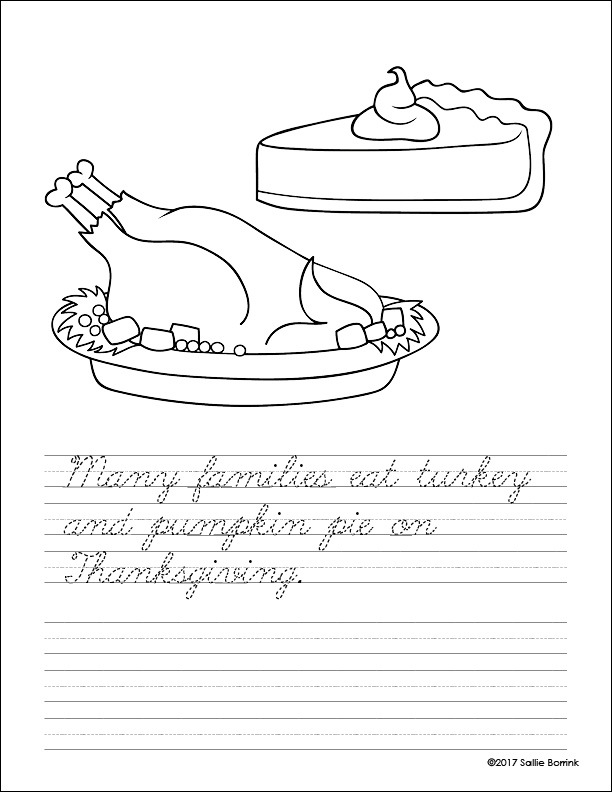 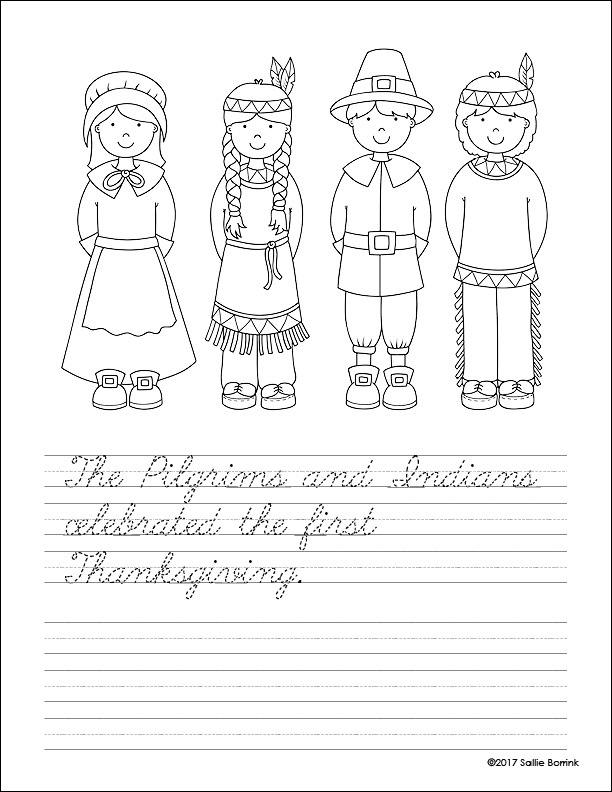 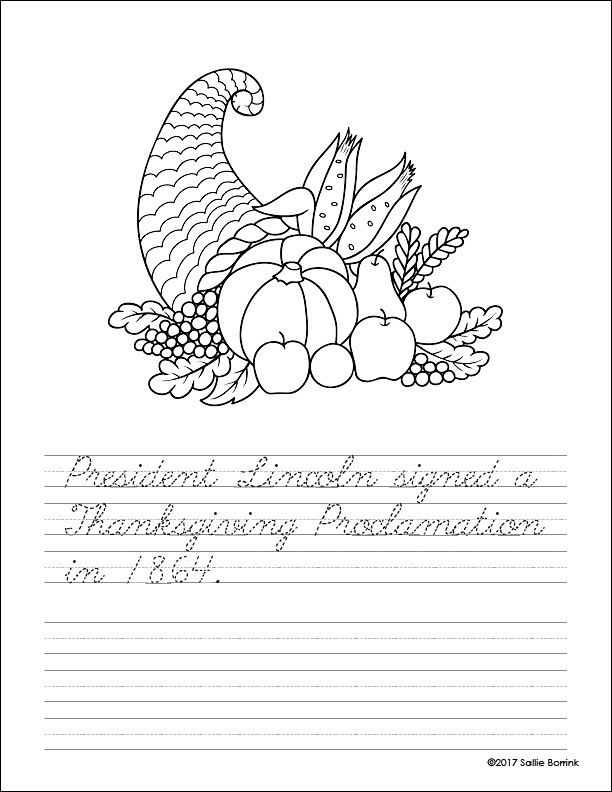 please purchase the product in my shop: Thanksgiving Handwriting and Coloring Pages. 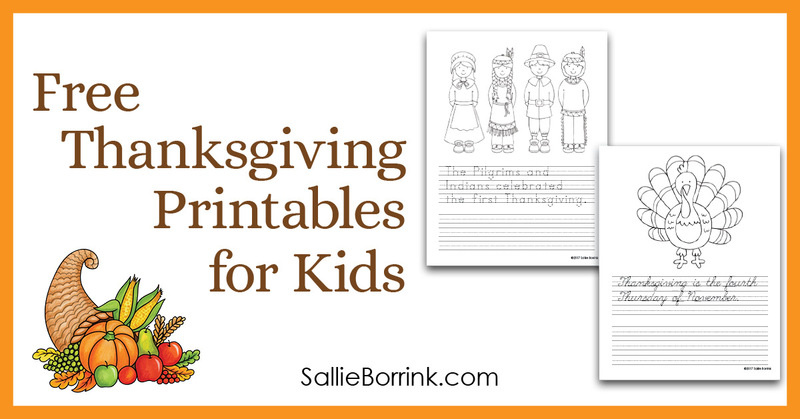 These are designed for your younger learners with print practice. 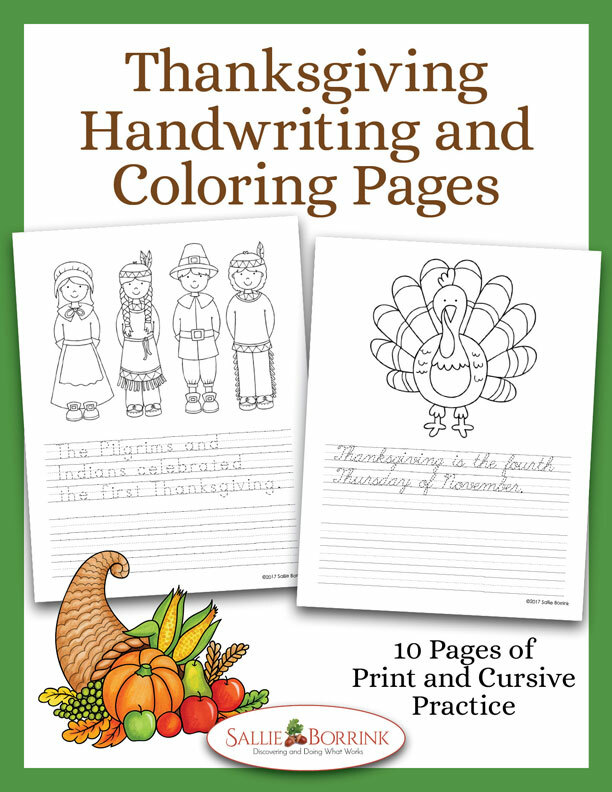 These are the cursive versions to use with your older children.